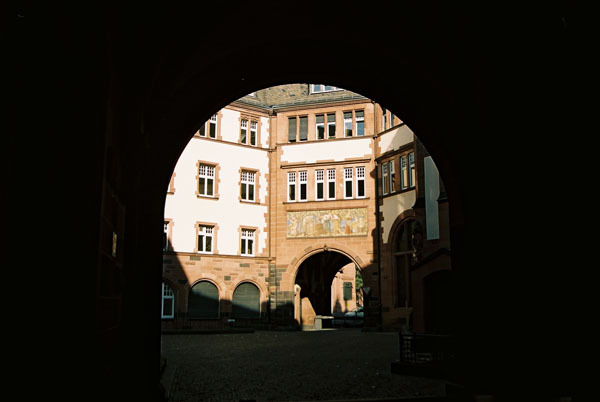 The main attraction of the Römerberg is the red sandstone Rathaus Römer – Frankfurt’s city hall since 1405 – with its Gothic stepped gables made of Frankfurt’s trademark red sandstone. The coronation of German emperors was celebrated by banquets in the Kaisersaal (Emperor’s Hall) on the upper floors. Portraits of 52 emperors, from Charlemagne to Franz II, now hang on the walls. It is a working town hall.